The images below give side-by-side views of both the original and current spaces within the project. 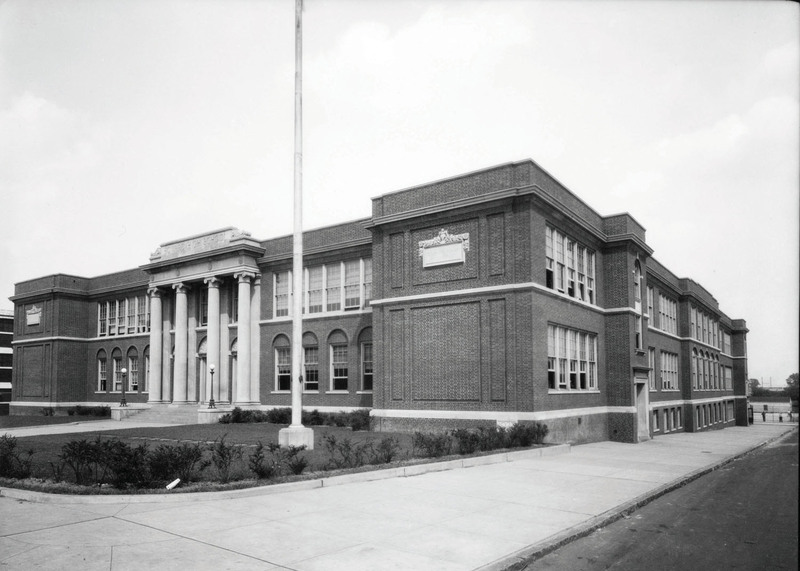 The black and white images were taken soon after the building’s completion in 1927. 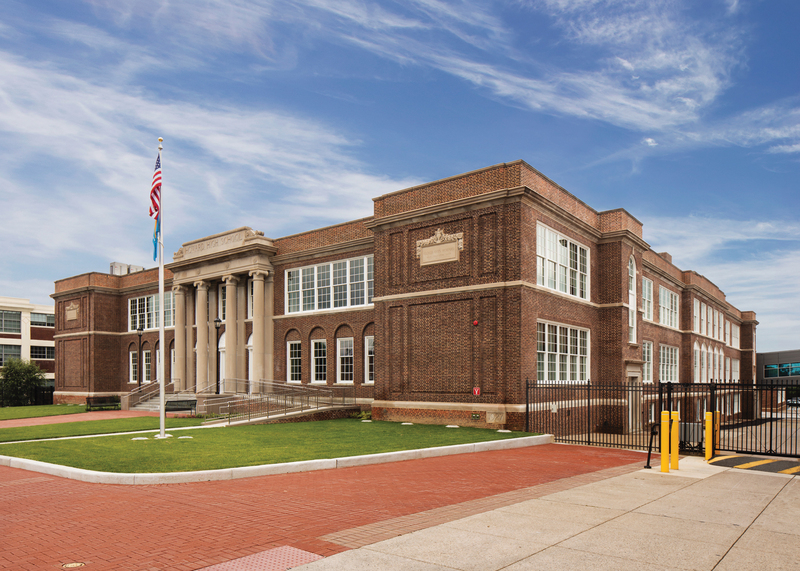 The color images were taken as the school reopened following the 2018 renovation. 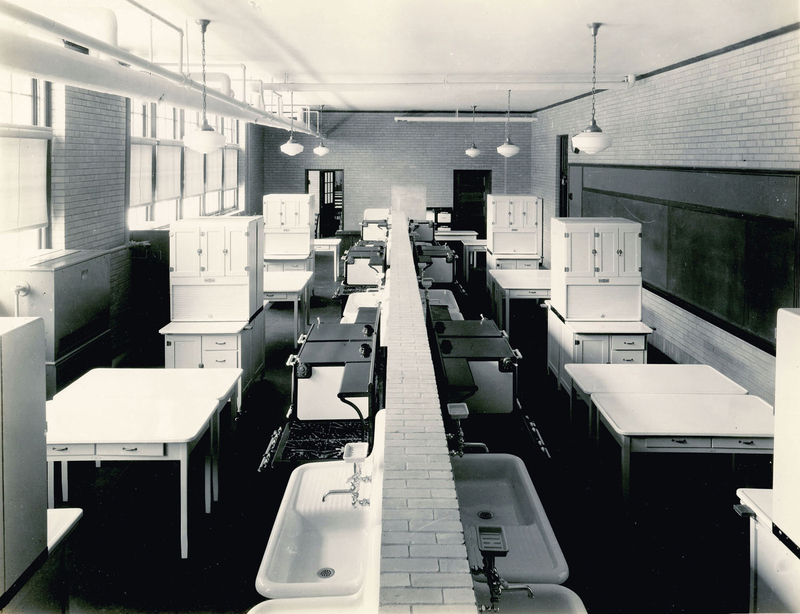 These photos illustrate the programmatic evolution of the school. 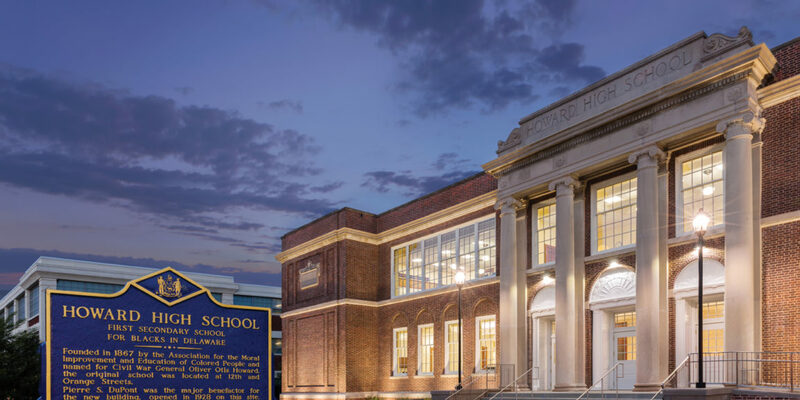 Although there were multiple changes over the intervening nine decades, these photos highlight the care in which the renovations help to preserve, restore and revive both the structure and spirit of this historic school to serve the needs of 21st century Howard High students. 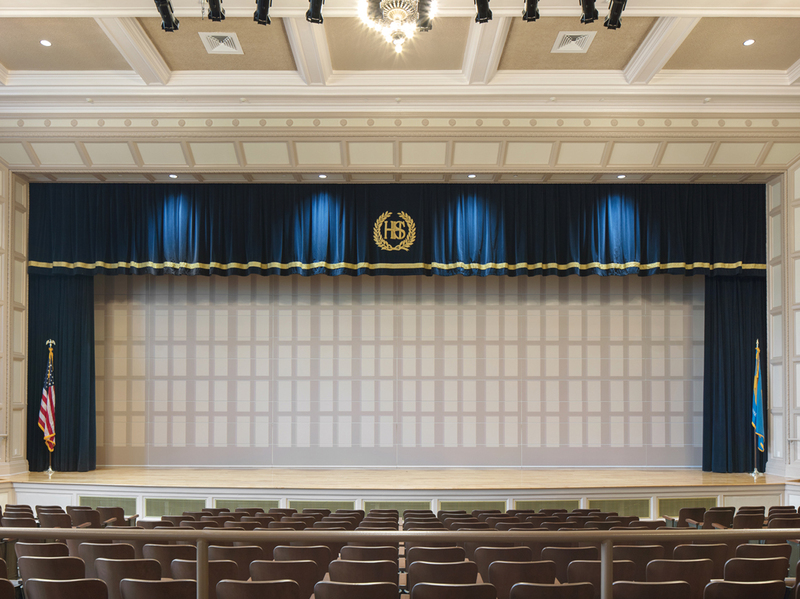 AUDITORIUM: The new stage curtain includes a re-creation of the embroidered Howard crest that was lost over the years. 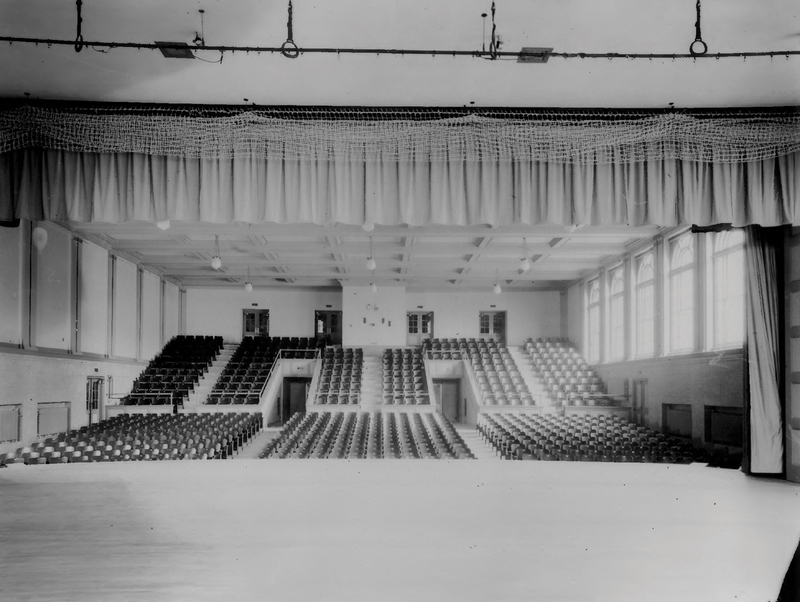 The stage partition was replaced with a motorized, vertical, retractable system, easing the transition from stage-only to gymnasium viewing. 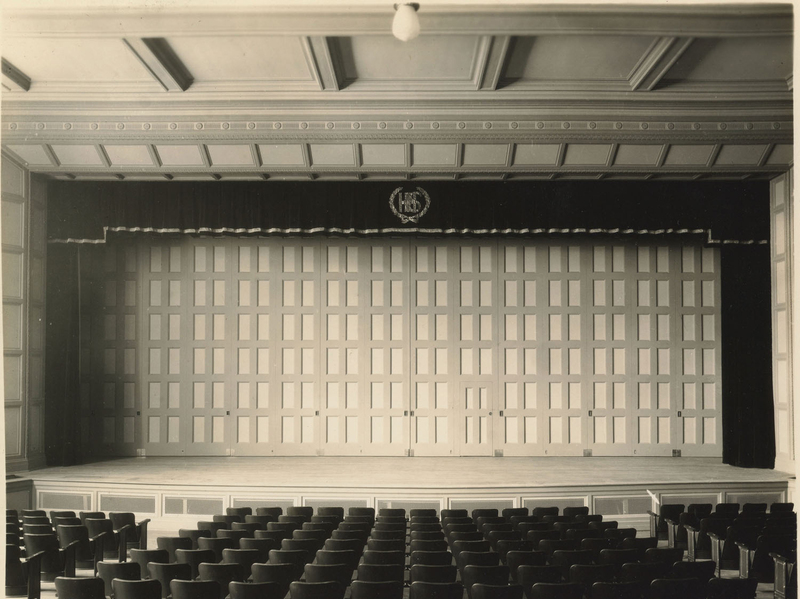 AUDITORIUM: The original wood theater seats were refinished. The original ornamental house lighting was refurbished / re-lamped and re-installed with motorized hoists. The wood flooring in the orchestra area was replaced. Carpet runners were installed in the balcony aisles. 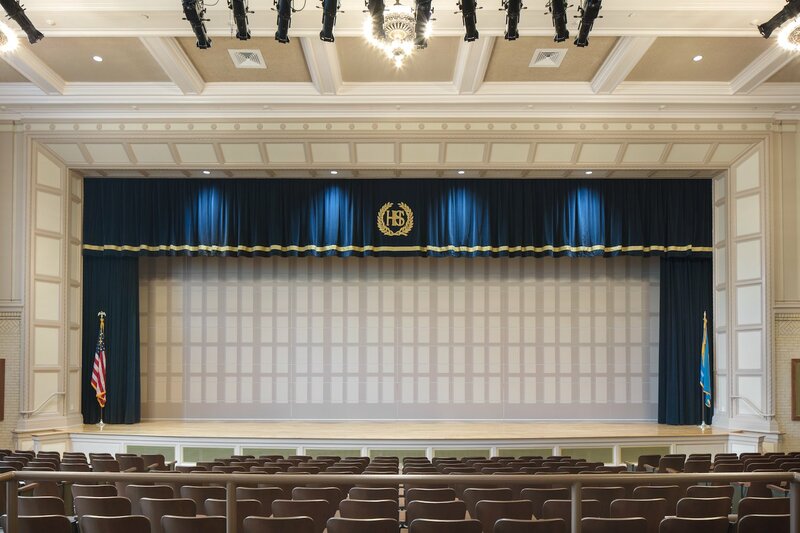 STAGE/GYM: The opened partition allows for a larger presentation area, for academic, theatrical or dance productions. 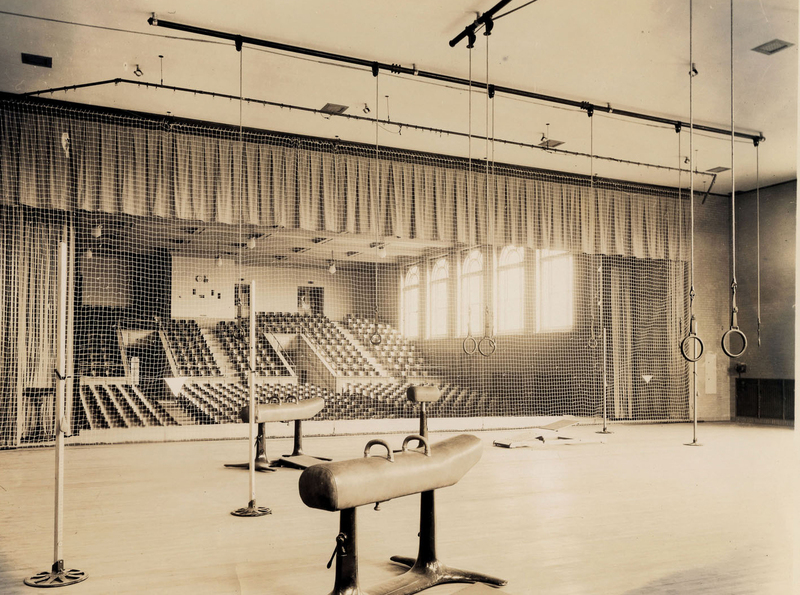 Theatrical rigging, lighting and audio-visual systems were added. The house windows were replaced and concealed, room-darkening shades were incorporated. 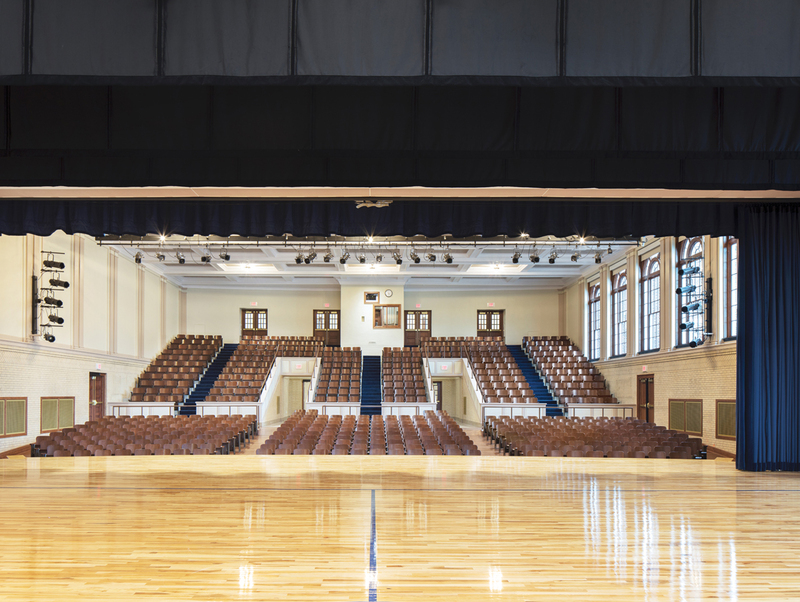 STAGE/GYM: A more recent 2-level classroom infill was removed from the gym, allowing a return to its use a convertible athletic space. 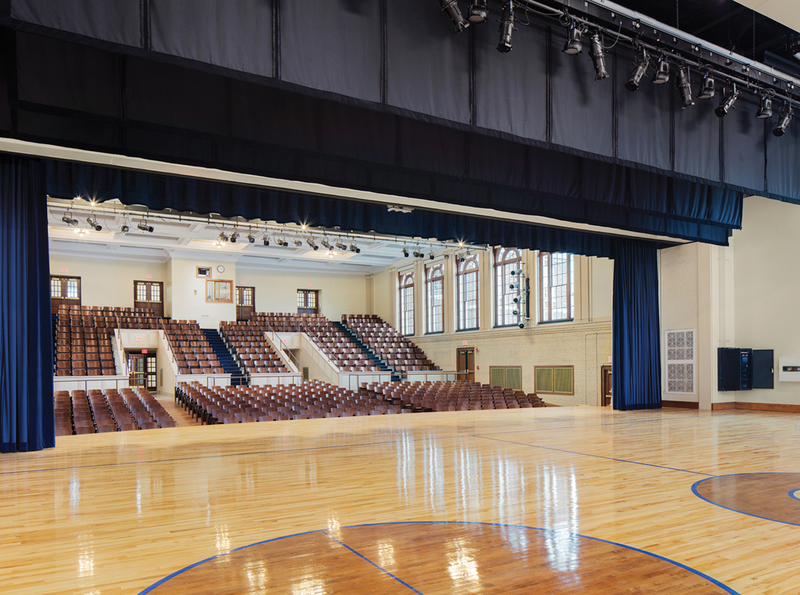 The flooring was replaced with period-appropriate basketball striping added. 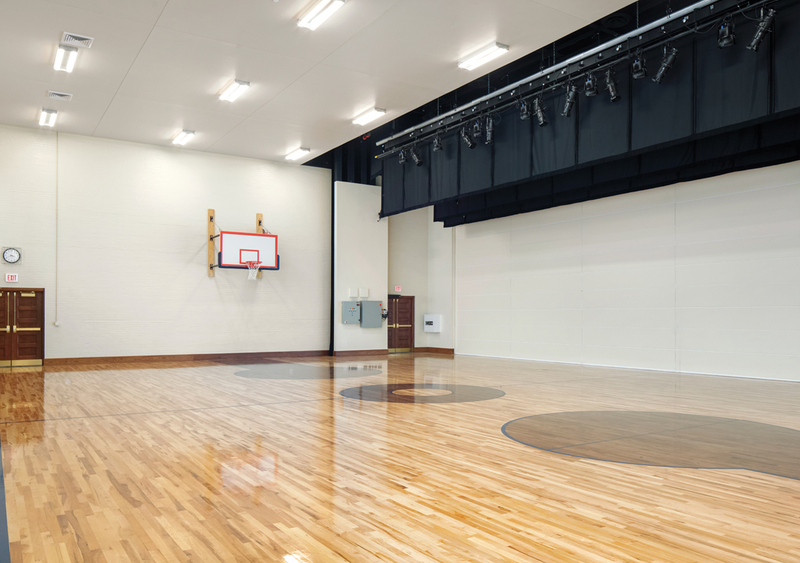 The space provides much-needed auxiliary space for athletics and physical education needs. 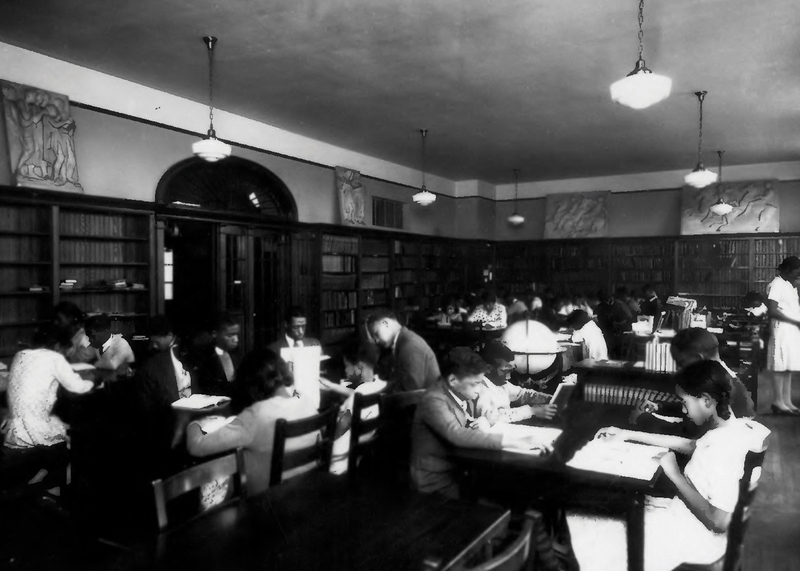 LIBRARY: The former Library space now serves as the Memorabilia Room. The wood bookshelves have been refurbished with display lighting added. Cork flooring was installed, in keeping with the original design. 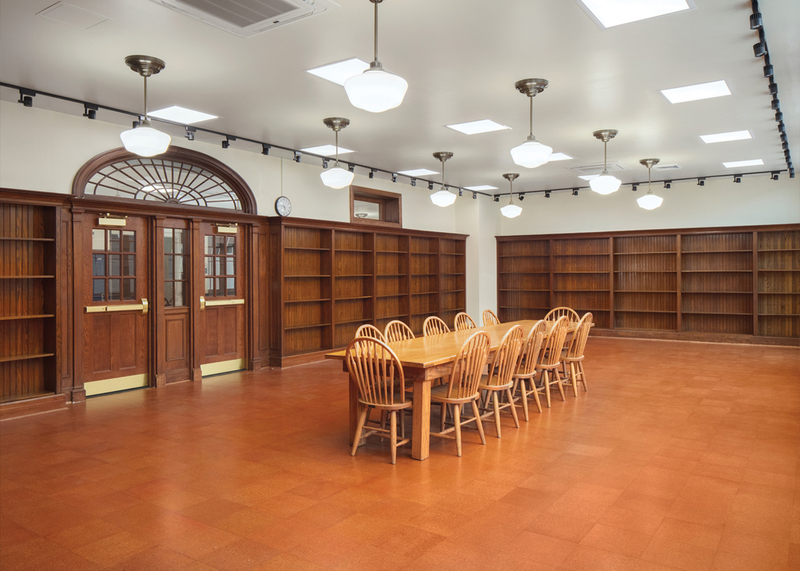 The room will continue to serve as a school archive and meeting space for alumni and the larger school community. 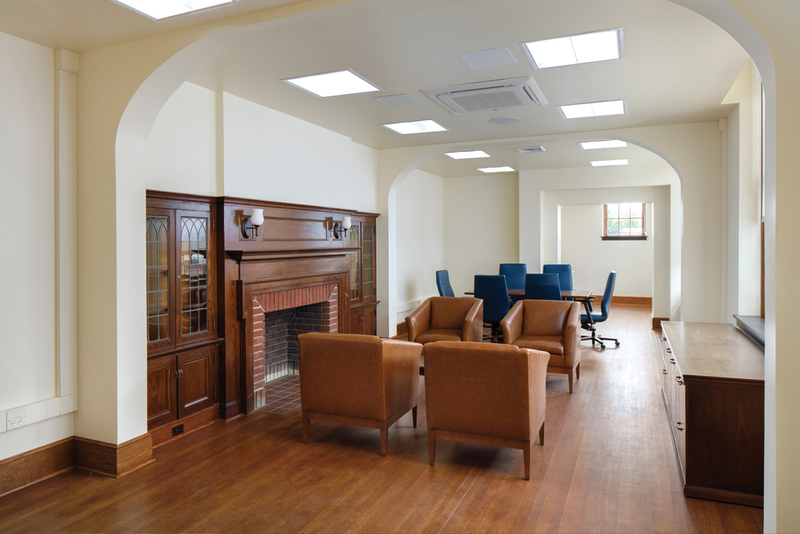 PARLOR: The former parlor and apartment suite have been converted to a Faculty Lounge for this area of the school. 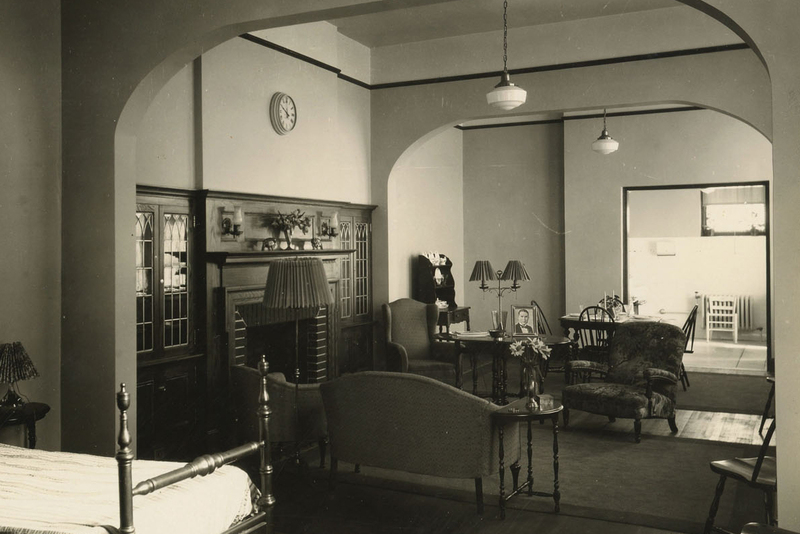 The room’s archways were maintained. The decorative mantel and cabinets with leaded glass were refurbished. New wood flooring was installed throughout. 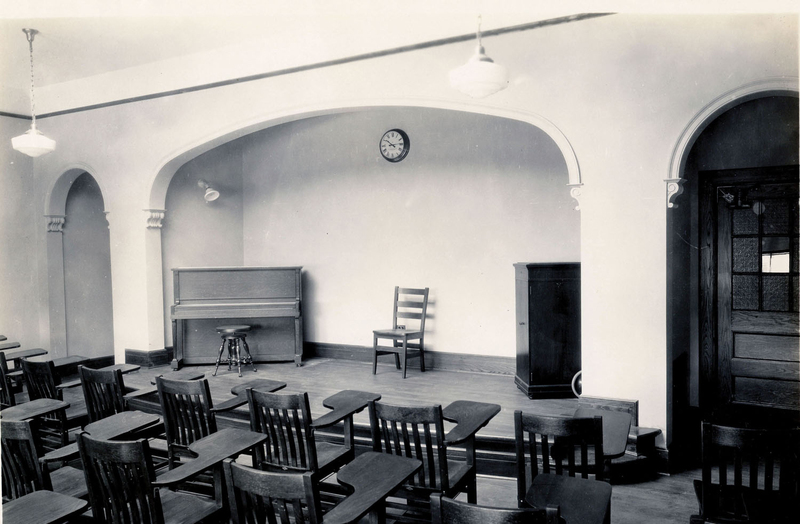 MUSIC ROOM: The former Music Room serves as a Seminar-Style Classroom, and a focal point on the second floor. The decorative archway detailing was restored. 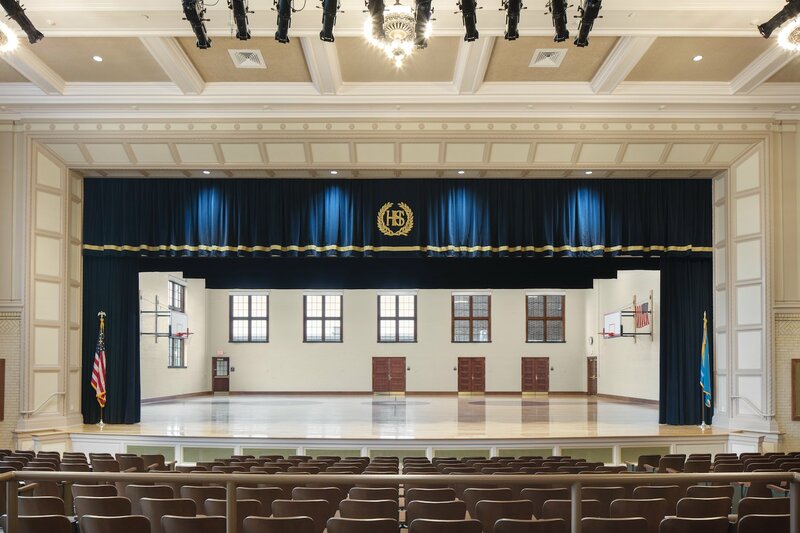 The wood stage was restored, and new wood flooring was installed throughout. The large skylight was replaced. 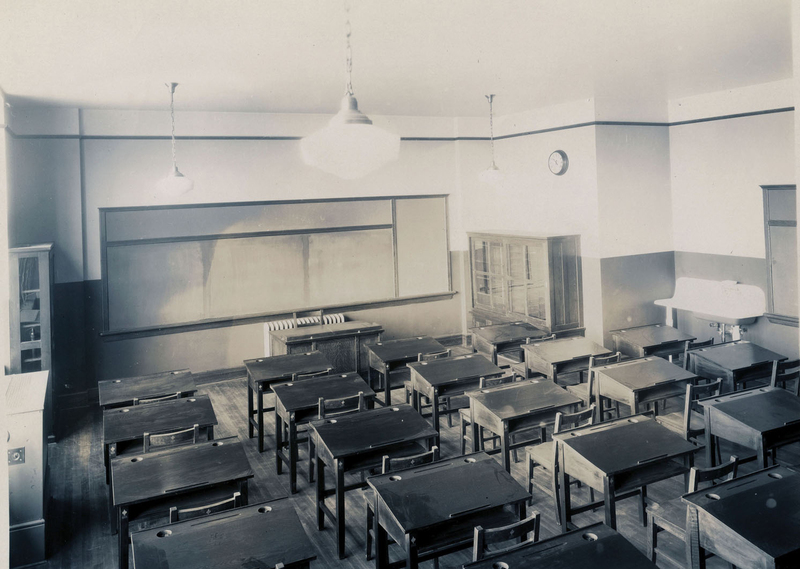 CLASSROOM: The Typical Classrooms were maintained where possible. New wood flooring was installed. 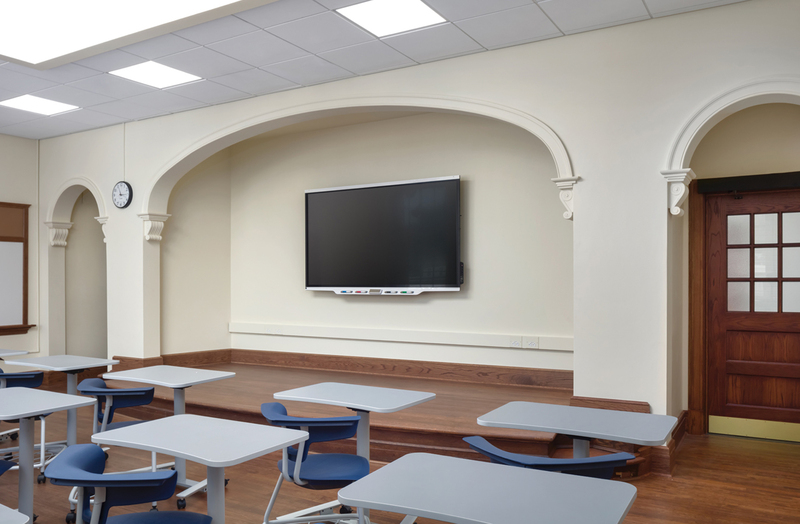 The original chalkboard trim was recreated with whiteboard inserts. 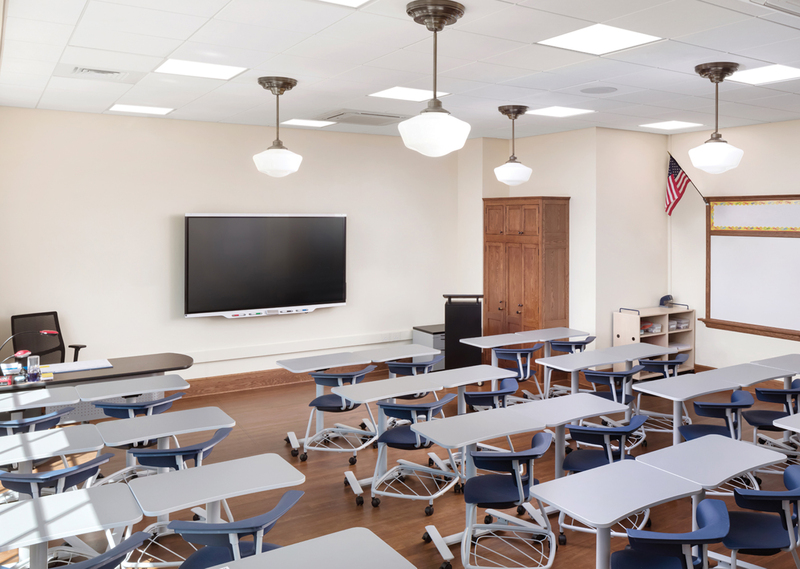 Period schoolhouse light fixtures replace originals and interactive display monitors were added. 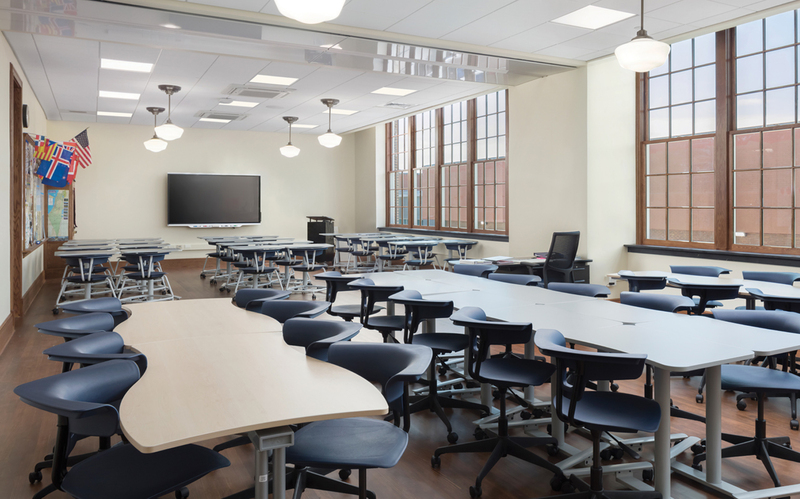 New furniture was selected with flexibility, adjustability & mobility in mind. 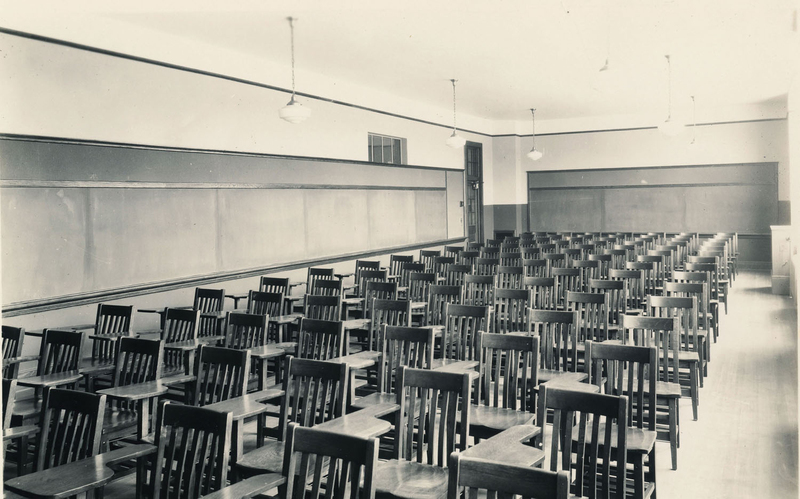 STUDY ROOM: The original Study Room served as a model for a handful of Dual-Use Classroom spaces. These rooms have a motorized, vertically-retractable room divider. 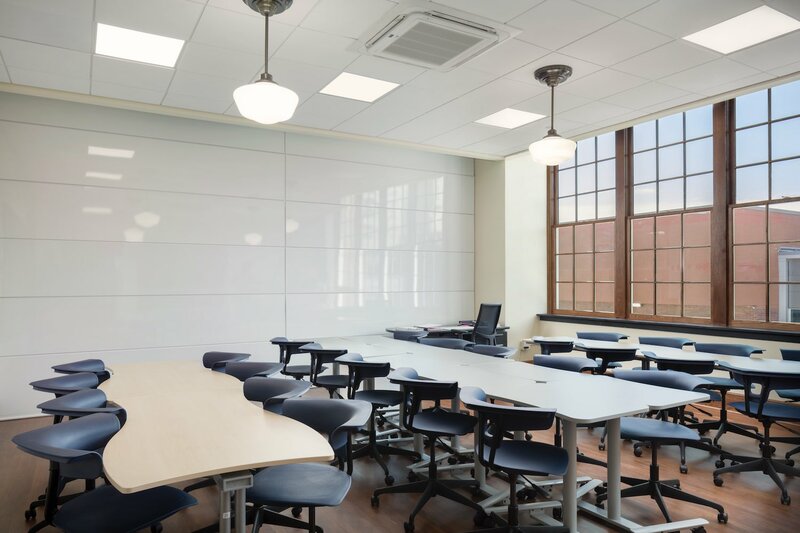 This allows options to gain more teaching spaces; to allow for larger/combined class sections; or to set-up combined lab/instruction rooms necessary for technical education. 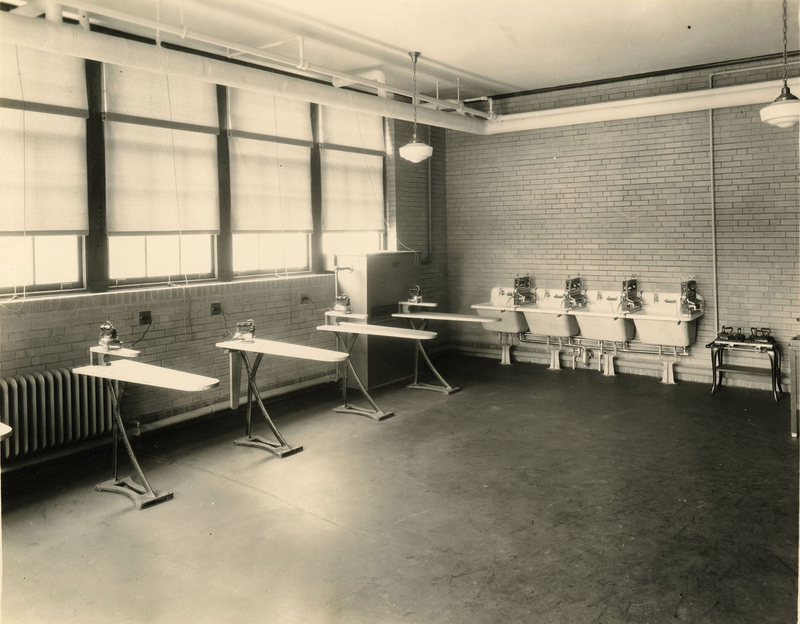 LAUNDRY ROOM: The original Laundry Room now houses a General Purpose Classroom. 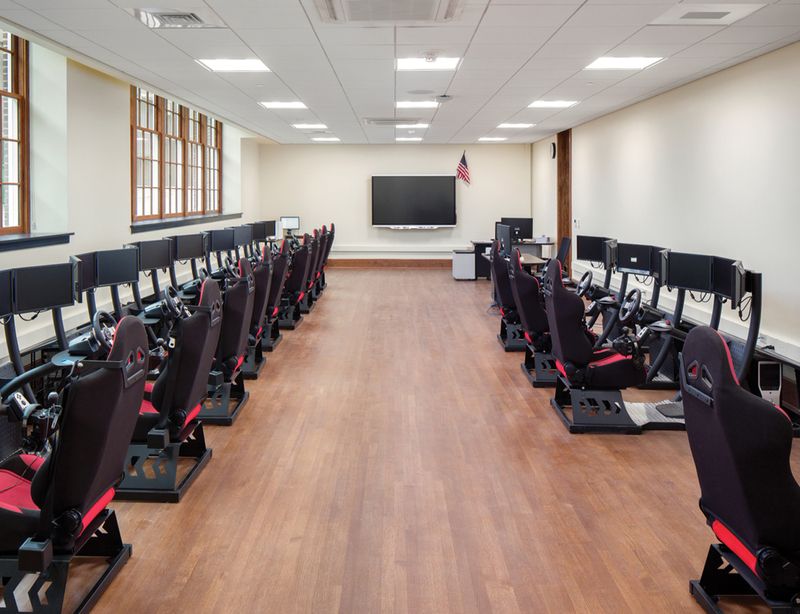 COOKING ROOM: The original Cooking Classroom, that served many functions over the years, is now the Driver’s Education Simulation Lab. 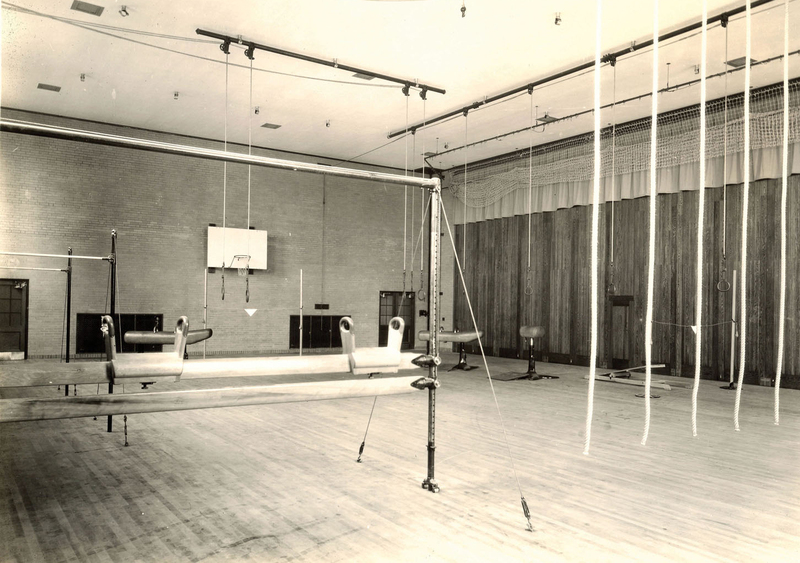 Walls were removed in order to return the space to its original configuration. 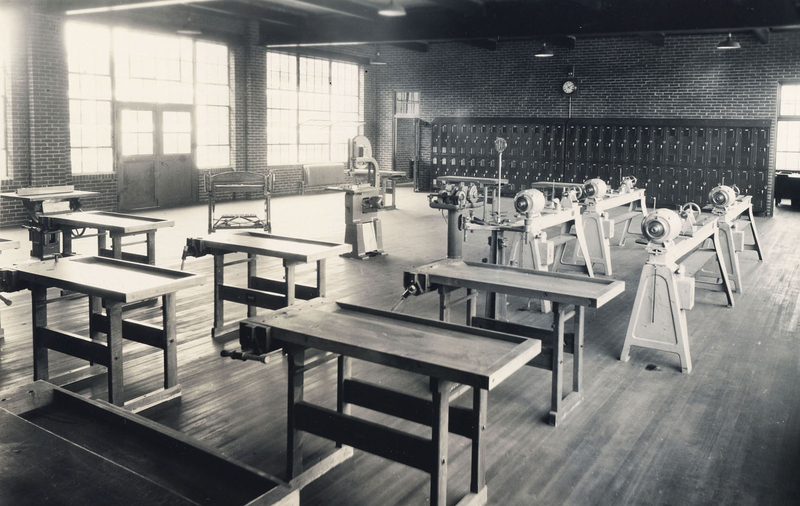 WOOD SHOP: The former Wood Shop in the Annex now serves as a general-purpose Career Tech Lab. 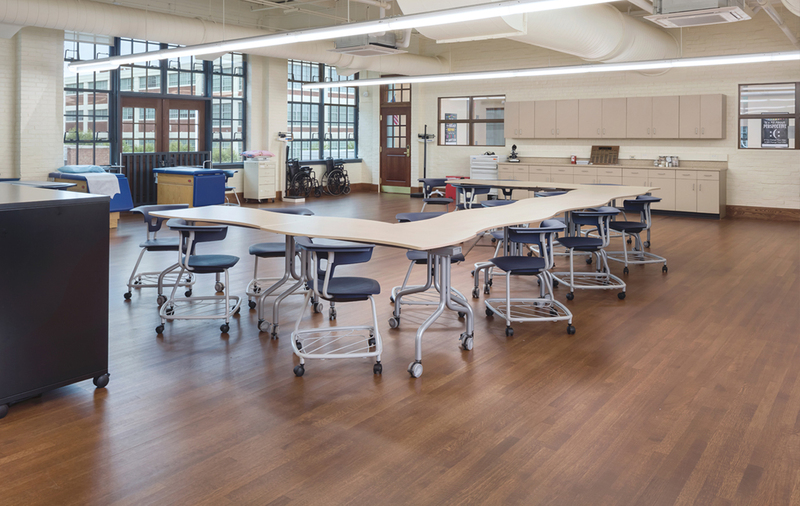 This flex lab is designed with multiple career program areas in mind. 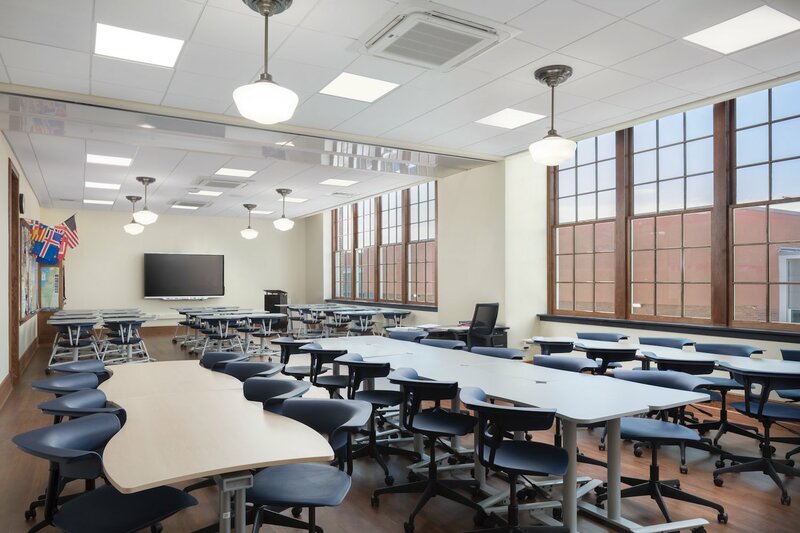 The high-bay space allows for exposed ductwork and large-scale, project-based learning. 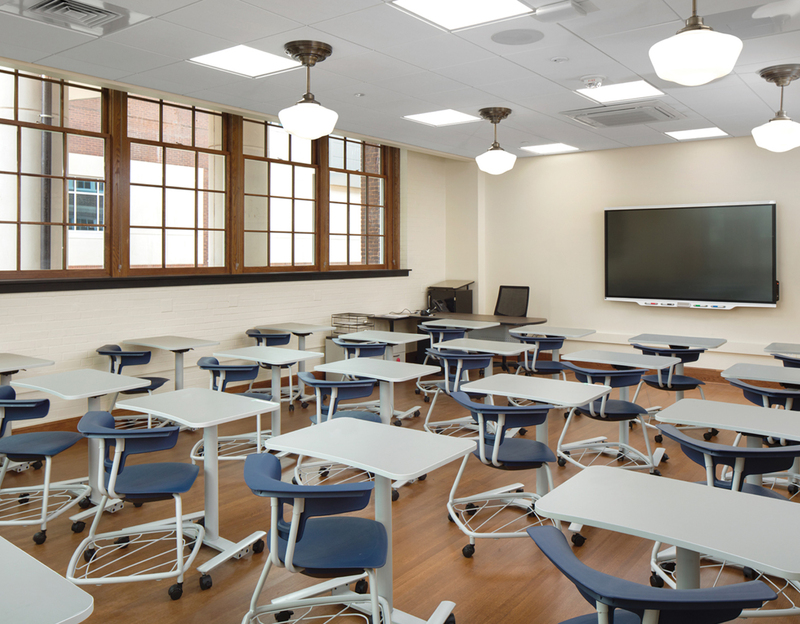 An adjacent instruction classroom is through the doors at the rear of the room. 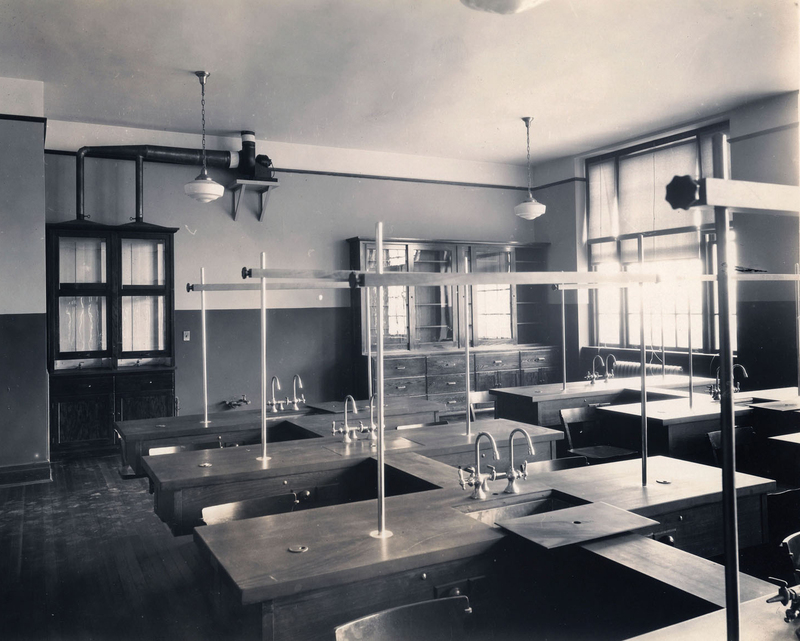 SCIENCE ROOM: This space is one of the few rooms that has maintained its original function throughout the life of the building. 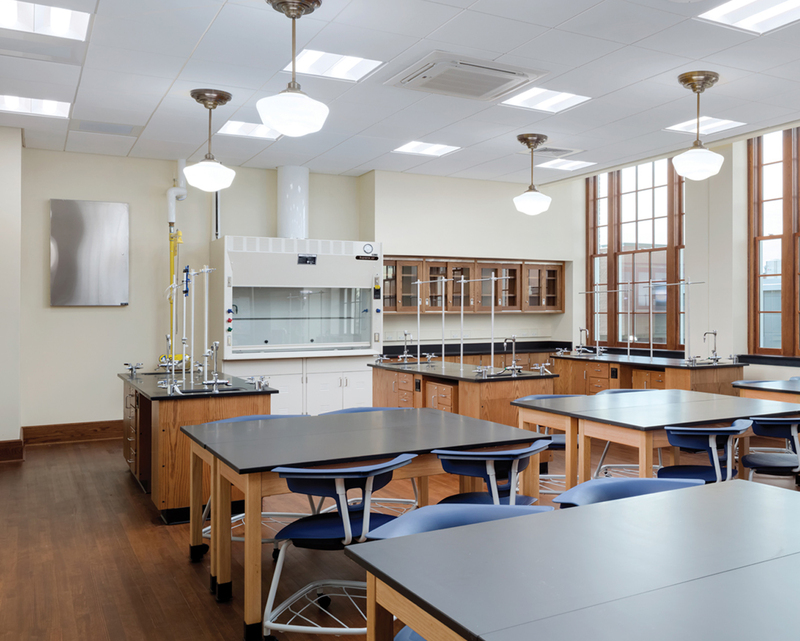 It has been updated into a modern Science Classroom with new casework, lab tables, fume hood, and the standard finish and technology package used throughout the project. 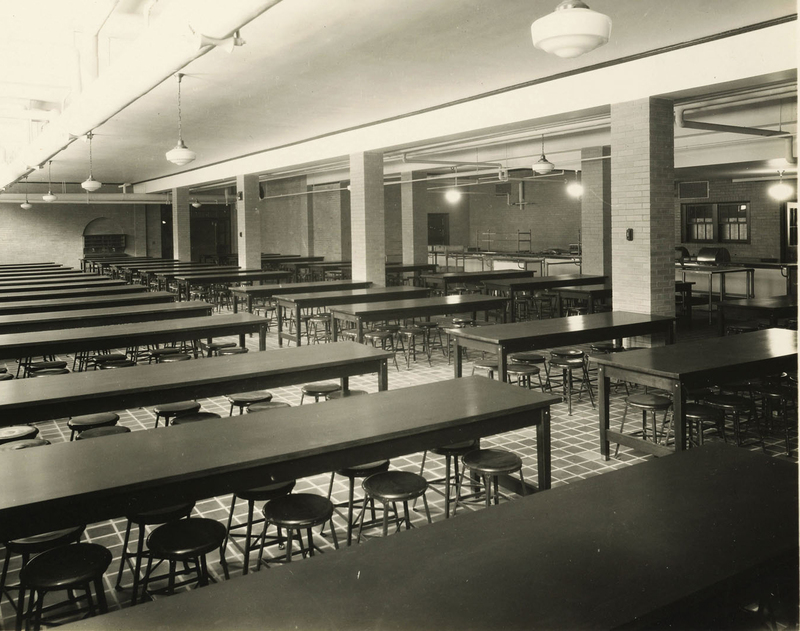 CAFETERIA: The original cafeteria has been transformed into a Multi-Purpose Room that serves as a student commons. Quieter than the main cafeteria, yet more active than the library, this space has flexible gathering options. 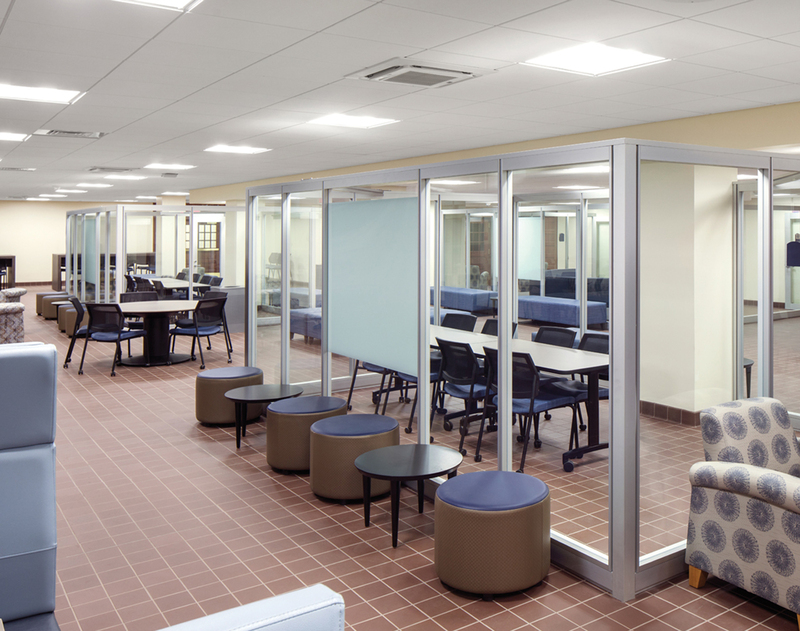 The all-glass study pods provide for group study sessions, while the large tables and booths encourage active learning and socialization.